The voordalak – a creature of legend; the tales of which have terrified Russian children for generations. But for Captain Aleksei Ivanovich Danilov – a child of more enlightened times – it is a legend that has long been forgotten. Besides, in the autumn of 1812, he faces a more tangible enemy – the Grande Armee of Napoleon Bonaparte. City after city has fallen to the advancing French, and it now seems that only a miracle will keep them from Moscow itself. In desperation, Aleksei and his comrades enlist the help of the Oprichniki – a group of twelve mercenaries from the furthest reaches of Christian Europe, who claim that they can turn the tide of the war. It seems an idle boost, but the Russians soon discover that the Oprichniki are indeed quite capable of fulfilling their promise… and much more. 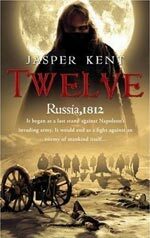 Twelve is the debut novel of British fantasy horror writer Jasper Kent. It is also the first book in a planned quintet of stories featuring Aleksei Danilov and his family, spanning from Bonaparte’s defeat in Russia in 1812 up to the eve of the Russian revolution. The plotline of Twelve spans just a few months and follows the events of the summer and autumn of 1812 in Russia, when the French invaded and briefly occupied Moscow itself before their inevitable retreat in the face of starvation and a harsh Russian winter. The historical setting is one of documented fact so there are no mysteries here for any reader with a basic grasp of European history. Twelve is not a work of historical literature - the invasion and French occupation of Moscow is just a backdrop for this classic vampire horror tale rather than being the whole focus of the story. Twelve is written in a modern (British) style and is far from being a work of melancholy Russian literature. 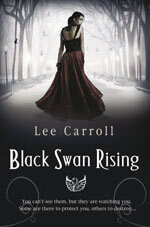 This is a modern horror story in a historical setting and the language used in the book is readably current while still in keeping with the time period. The story is told in first person by Aleksei, a Captain of the Russian army engaged in espionage duties. Aleksei makes a likeable, if occasionally conflicted, protagonist and it is through his eyes and his narrative that readers are introduced to the Oprichniki. Shabby, scruffy, dirty and disrespectful, the Oprichniki are not the kind of vampires that paranormal romance novelists write about. These are traditional evil vampires and they engender no feelings of empathy in readers’ minds whatsoever. Readers who are vaguely familiar with Bram Stoker’s Dracula myth have the advantage over Aleksei, since they can clearly see that this band of brutal mercenaries from the Carpathian Mountains, who work only at night, are obviously vampires. Their leader even matches the description of Vlad The Impaler. However Aleksei has no reason to suspect them of being anything other than foreign mercenaries so for the reader, the first part of the book is spent in anticipation of what out hero will do once he finds out the true nature of the Oprichniki. During the course of the story there are surprises in store for both the book’s readers and Aleksei which keep the plot at least jogging along even if it doesn’t exactly race forward. My biggest criticism of Twelve would be that Aleksei’s narration is just too self absorbed and over long in places, leading to occasional lulls in the storytelling pace. Tighter editing and a slightly shorter story might have resulted in a more consistently paced tale. Still, Twelve is a good example of classic vampire horror fiction and it makes a refreshing change to read about traditionally evil vampires that must be hunted down and killed at all costs - rather than their modern day romantically inclined brethren. You can find out more about Jasper Kent’s writing and read an excerpt from this book on his website. Visit Jasper’s website.